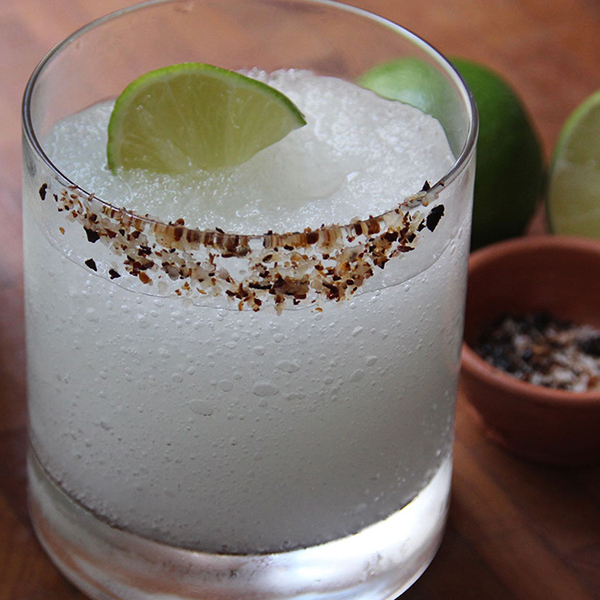 Grab a blender, pour Pepino Diablo Margarita and add ice. Rim glass with chipotle salt. Garnish with squeeze of lime.